Molly Gibson, the only daughter of a widowed doctor in the small provincial town of Hollingford, lost her mother when she was a child. Her father remarries wanting to give Molly the woman's presence he feels she lacks. 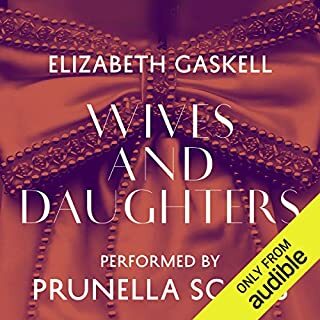 To Molly, any stepmother would have been a shock, but the new Mrs. Gibson is a self-absorbed, petty widow, and Molly's unhappiness is compounded by the realisation that her father has come to regret his second marriage. 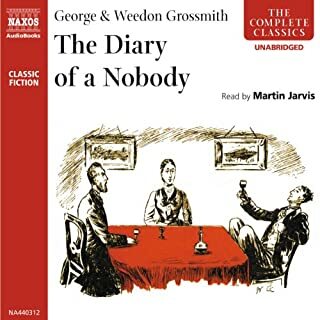 The Diary of Nobody (1892) created a cultural icon, an English archetype. Anxious, accident-prone, occasionally waspish, Charles Pooter has come to epitomize English suburban life. His diary chronicles encounters with difficult tradesmen, the delights of home improvements, small parties, minor embarrassments, and problems with his troublesome son. The suburban world he inhabits is hilariously and painfully familiar in its small-mindedness and its essential decency. 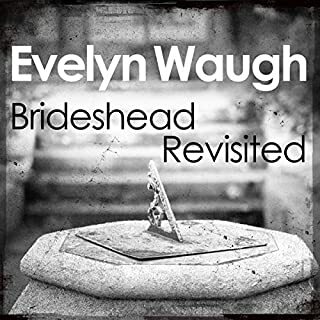 The wellsprings of desire and the impediments to love come brilliantly into focus in Evelyn Waugh's masterpiece - a novel that immerses us in the glittering and seductive world of English aristocracy in the waning days of the empire. Through the story of Charles Ryder's entanglement with the Flytes, a great Catholic family, Evelyn Waugh charts the passing of the privileged world he knew in his own youth and vividly recalls the sensuous pleasures denied him by wartime austerities. Late one moonlit night, Walter Hartright encounters a solitary and terrified woman dressed all in white. He saves her from capture by her pursuers and determines to solve the mystery of her distress and terror. 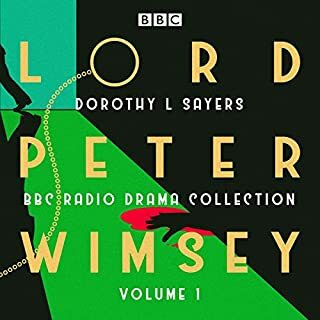 Inspired by an actual criminal case, this gripping tale of murder, intrigue, madness and mistaken identity has never been out of print since its publication and brought Collins great fame and success. 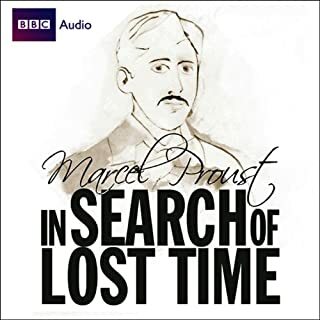 Featuring a fictional version of himself - 'Marcel' - and a host of friends, acquaintances, and lovers, In Search of Lost Time is Proust's search for the key to the mysteries of memory, time, and consciousness. 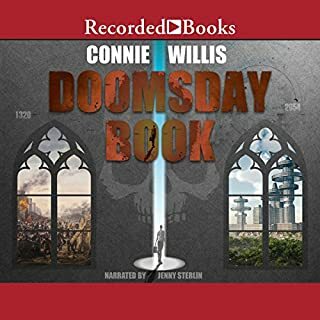 As he recalls his childhood days, the sad affair of Charles Swann and Odette de Crecy, his transition to manhood, the tortures of love and the ravages of war, he realises that the simplest of discoveries can lead to astonishing possibilities. In Search of Brilliance? Look no further! > The Wind in the Willows is the classic story featuring Ratty, Mole, Badger and Toad (of Toad Hall). 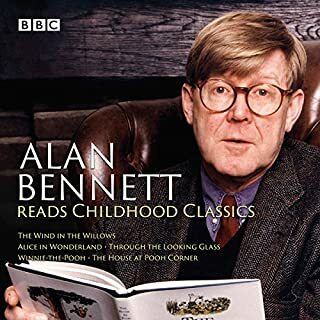 In Alice in Wonderland, when Alice follows a white rabbit down a hole, she embarks on a series of adventures with some of the most weird and wonderful characters ever encountered. In Through the Looking Glass, Alice sees another world in the looking glass and wishes she could go there. To prepare his daughter, Sara, for society, wealthy widower Captain Ralph Crewe enrolls her in Miss Minchin's Select Seminary for Young Ladies. Unspoiled and genial, Sara is given all the luxuries her father can afford - and the obsequious Miss Minchin is happy to indulge. 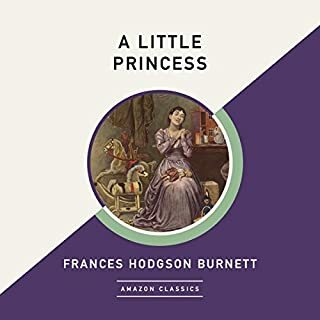 But when her father dies and his fortune is lost, Sara is forced into servitude, stripped of her privileges and possessions, and subjected to Miss Minchin's true cruel nature. 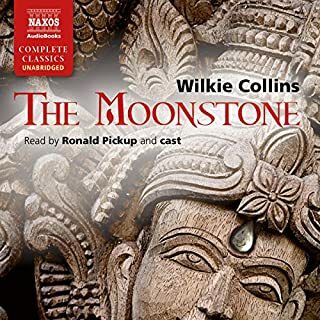 Upon inheriting the Moonstone, a huge and priceless diamond, Rachel Verinder's delight turns to dismay when the gem suddenly disappears. But this is no ordinary theft. Sergeant Cuff of Scotland Yard is called in and immediately suspects an intricate plot. However, not even his powers of detection can penetrate fully the mysteries surrounding the diamond. 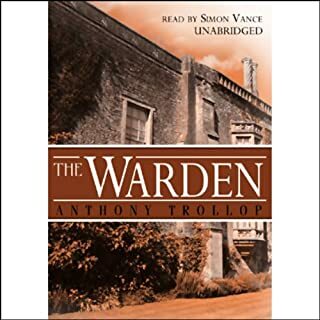 Anthony Trollope's classic novel centers on Mr. Harding, a clergyman of great personal integrity whose charitable income far exceeds the purpose for which it was intended. On discovering this, young John Bold turns his reforming zeal toward exposing what he regards as an abuse of privilege, despite the fact that he is in love with Mr. Harding's daughter, Eleanor. 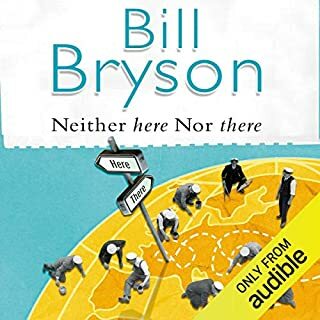 In Neither Here nor There Bill Bryson brings his unique brand of humour to bear on Europe as he shoulders his backpack, keeps a tight hold on his wallet, and journeys from Hammerfest, the northernmost town on the continent, to Istanbul on the cusp of Asia. 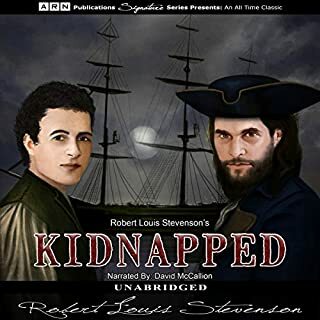 Robert Louis Stevenson's Kidnapped tells the story of a young orphaned 17-year old boy named David living in Scotland during the 18th century. While trying to make his way in the world, David moves in to his uncle's estate, where he soon after finds clues that prove that his father, and thus himself, should have been the rightful heir to the estate, rather than his uncle. 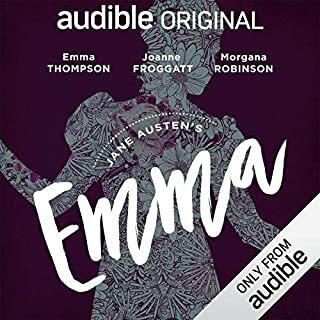 Between his work on the 2014 Audible Audiobook of the Year, Hamlet, Prince of Denmark: A Novel, and his performance of Classic Love Poems, narrator Richard Armitage ( The Hobbit, Hannibal) has quickly become a listener favorite. 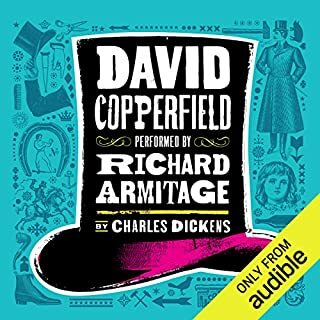 Now, in this defining performance of Charles Dickens' classic David Copperfield, Armitage lends his unique voice and interpretation, truly inhabiting each character and bringing real energy to the life of one of Dickens' most famous characters. 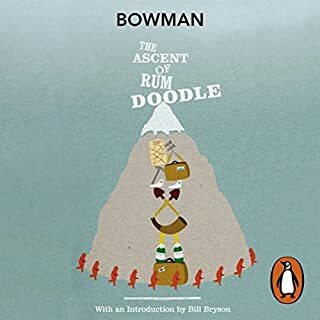 First published in 1956, The Ascent of Rum Doodle quickly became established as mountaineering classic. As an outrageously funny spoof about the ascent of a 40,000-and-a-half-foot peak, many thought it inspired by the 1953 conquest of Everest. But Bowman had drawn on the flavour and tone of earlier adventures, of Bill Tilman and his 1937 account of the Nandi Devi expedition. The book's central and unforgettable character, Binder, is one of the finest creations in comic literature. 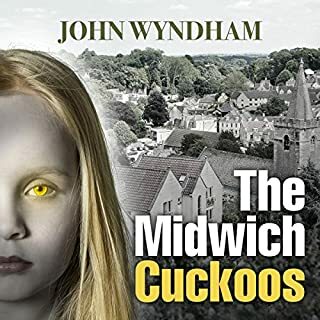 In the sleepy English village of Midwich, a mysterious silver object appears and all the inhabitants fall unconscious. A day later the object is gone and everyone awakens unharmed - except that all the women in the village are discovered to be pregnant. The resultant children of Midwich do not belong to their parents: all are blonde, all are golden eyed. For Oxford student Kivrin, traveling back to the 14th century is more than the culmination of her studies - it's the chance for a wonderful adventure. For Dunworthy, her mentor, it is cause for intense worry about the thousands of things that could go wrong. Martyrs to hypochondria and general seediness, J. and his friends George and Harris decide that a jaunt up the Thames would suit them to a ‘T’. But when they set off, they can hardly predict the troubles that lie ahead with tow-ropes, unreliable weather-forecasts and tins of pineapple chunks – not to mention the devastation left in the wake of J.’s small fox-terrier Montmorency. Three Men in a Boat was an instant success when it appeared in 1889, and, with its benign escapism, authorial discursions and wonderful evocation of the late-Victorian ‘clerking classes’, it hilariously captured the spirit of its age. Dear editors: it is not about the story...a to b...it is about the language and the absurdity. so why cut so much language and absurdity out? I am returning this edition. A gorgeous, funny tale told by Hugh Laurie. 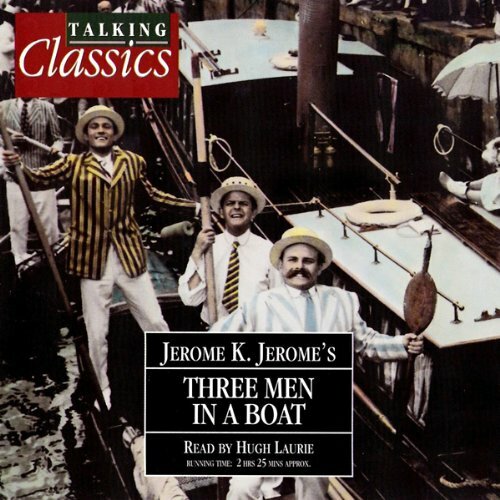 Jerome K Jerome's wonderfully funny tale of three men and a dog going on a river holiday is rendered perfectly by Hugh Laurie. He captures the deluded optimism, the ineptness and the trials of three friends who have scant idea of what they are doing. I could listen to this beloved classic over and over. Great choice of narrator. Humorous in parts, a bit dreary in others. Glad a chose to listen to it rather than read the book. Hugh Laurie did a good job. There were quite a few good moments that are missing from this abridged version. 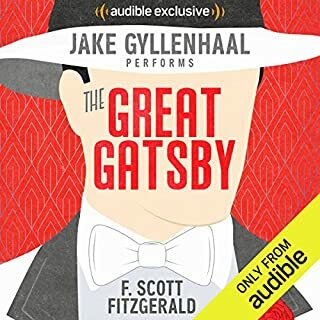 Hugh Laurie's narration is fantastic, but be warned that this edition is heavily abridged: it's missing about half of the text. I wouldn't have bought it had I known this. Many of my favorite passages from the book are missing. I know how much of a classic this is, but Three Men is a tedious book. There is nothing I like about it. Laurie's narration is, however, fantastic. The peak was the gloomy, forlorn performance of "two black eyes". I actually giggled, at long last. I'd heard so much about this book so I figured I'd try it out. It tried from the get-go to be funny, and occasionally succeeded. Three men, at turns lazy and incompetent but not unlikable set off for a two week boating trip. The flowery description parts were flowery and descriptive, the 'humorous interludes' were sometimes fun in a satirical way. It was surprisingly relate-able while still being a period piece. Short enough that I might give it another listen, but I'm still not certain why it's so well regarded. Witty- especially in the beginning. You really can't go wrong with Mr. Laurie, and his quirky humor is well matched in the story line. It is very funny or silly at times. Reminds me of Jeeves and Wooster. I wish he narrated more books! Brilliant rendering by Hugh Laurie. My best scene would be , where he explains how the stomach controls the brain. Hugh Laurie sounding nothing like House! The feeling of life for the happy elite is seductive to imagine, although the author is clearly keeping a satirical point of view. great for a two hour road trip. Hugh Laurie gets to use his real accent. always funny to compare to house. 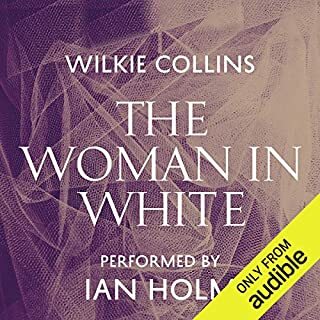 I never read this book before but have obviously heard about it so when I saw Hugh Laurie was the narrator I thought I don't have any excuse not to listen to this. I am glad I did. It's a wonderful plunge in a bygone society where three hypochondriacs and a dog go on a trip on the Thames. Jerome K Jerome really describes the scenery very well and it gives you an insight into what gentlemen used to get up to. Hugh Laurie is wonderful as always and the perfect person to read this book with his Cambridge accent. Enjoyed it immensly. the best audio version, makes me hoot with laughter every time I hear it. 10/10 on all accounts.